If you are a reader of FishTankWorld, you may have noticed we talk a lot about the quality of the water of the tank. The simple reason is that it is as important as the air we breath. 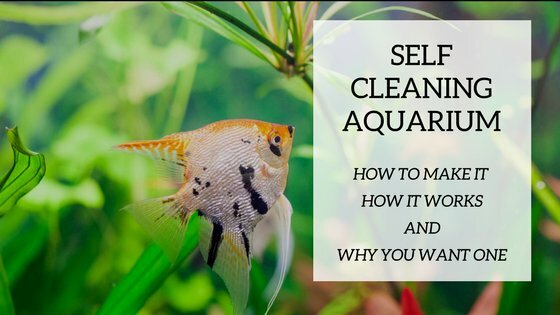 There is no chance you can have a thriving aquarium if your water is not clean. If the water quality is not how it should be, one consequence is that fish can be attacked by diseases that can disfigure and kill them. That’s why one of the best things you can do for your fish is to get them one of the best UV sterilizer. You can find out why by just reading on. What does a UV sterilizer actually do? Will it kill good bacteria too? What are the benefits of using a UV sterilizer? How to maintain a UV sterilizer? What are the best UV sterilizers? 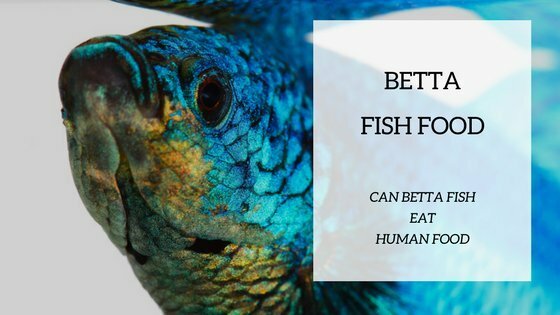 It’s no surprise that fish aren’t immune to sickness, just like every other organism. The difference here is that is difficult to treat them if they get sick. You can only watch it spread through the aquarium and hope for the best. Infections tend to spread fast in limited spaces. This is where the UV sterilizer comes into view. UV sterilizers control the spread of infections by killing the microorganisms which are carriers, thereby keeping your fish safe. This is possible because UV is mutagenic to viruses and bacteria on certain wavelengths (particularly from 260nm-270mn). Basically, the UV breaks molecular bonds in the DNA of microorganisms. UV sterilizers are generally considered beneficial. Fish have a natural resistance to UV light, so it does not harm them at all and when they’re not exposed to it, their pigment tends to be under-stimulated. That’s why you’ll notice that fish exposed to UV light tend to have more vivid colors whereas those that aren’t tend to be paler. This is because UV light stimulates the pigment to work faster, thus even increasing the natural resistance. If you’re medicating your fish, remember to turn off the UV light, as it makes the tank completely sterile and will kill the medication as well. Another situation in which the UV sterilizer is better switched off is when you are cycling your aquarium. It will kill any free floating pathogen, algae spores it will also affect the beneficial bacteria as they are free floating before attaching to the stones or to the gravel. The good bacteria can be found in live rocks, bio filters and substrates in a healthy aquarium. This means that the UV light can’t remove good bacteria, as it is not in the free floating area; not in the water column. So there is no reason to worry, the UV sterilizer won’t kill anything beneficial for your fish. 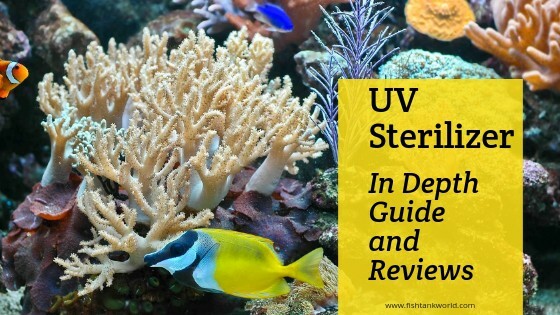 As it was mentioned before, the primary advantage of using UV sterilizers is that they get rid of all the potentially harmful microorganisms in your tank. It’s simple, a sort of plague is inevitable in an aquarium, especially when organisms other than fish also live there (algae, for example). Using a UV sterilizer can help solving the problem. Even if you clean the fish tank regularly, parasitic activity can occur. All aquariums are exposed to natural light, as they should be, but this means algae grows faster. The main problem with the sickness which might occur is that it develops unseen. Be mindful that the UV light maintains a sterile environment but that it does not target the parasites which could already be attached to your fish. Regular water changes, good filtration systems and fish tank cleanings are still recommended. Check out this interesting video on facts and myths around UV sterilizers. You can’t just go out and buy the first UV sterilizer you see. Well, you can but chances are you won’t be satisfied with it. Before getting a UV sterilizer, some research needs to be carried out. There are several types of UV sterilizers, according to what you’re looking for – the tray type, the wet bulb type and the wet bulb type. The difference between the last two is that the latter is not line with quartz. If the water system is cold, it has to have a UV sterilizer with a quartz sleeve because it makes a periodic cleaning and an easier bulb replacement. There’s also a hang-on UV sterilizer which is simply hung on the inside of your aquarium, and an inline UV sterilizer, which can be submerged and linked to the main framework. This kind of categorization refers to the position a UV sterilizer has in a water flow. In order to choose the right unit, you must first determine the kind of tank you have. This primarily refers to its size. The tank size is important because the UV sterilizer has to be in accordance to the water flow within the tank in order to ensure efficient use. Manufacturers tend to provide tables with recommended maximum aquarium size and appropriate flow rate for all of the models they have. Keep in mind that manufacturers take different things into account and that that’s why ratings can differ. For instance, some use a 100% bulb efficiency while others only account for 60%, or they can refer to clear or turbid water. Other variants may refer to the type of organism aimed to be killed- bacteria/algae or protozoa. 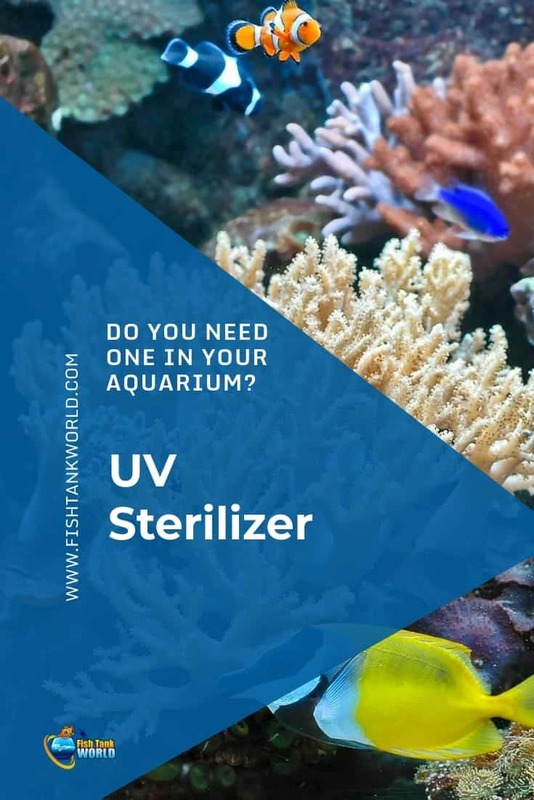 The UV sterilizer should be set up after everything else in the aquarium has been set into place, aside from the water, of course. The best would be if it went before all the other filters you might have in your aquarium (biological and mechanical, any chemical filters or any heat exchanger). Most UV sterilizer units have hose barb connectors to connect to eh appropriate water pump. If this isn’t the case, then it’s most likely that the unit has an add-on connector as a PVC slip fit or a barb hose attachment. The units also come with installation guides which you just have to follow carefully and you should be fine. This really depends in the type of UV sterilizer you opt for. The one lined with quartz will need to be taken out once a month and cleaned with rubbing alcohol. If the unit is larger, chances are high that it has a self-wipe mechanism to make cleaning easier. If you use the UV sterilizer regularly, you’ll probably have to replace the bulb every 6 months, but in order to be sure, check the guidelines the manufacturer provided. as it can cause serious damage to your eyesight. This can happen without you feeling any physical discomfort. And of course, you should always disconnect the unit from the electric socket so as to avoid any possible shock while cleaning. Unplugging is also essential because the bulb tends to heat up in the air and lowering it into water after that can cause it to break. Among the strong competition, some UV sterilizers are bound to be better than others, and we aim for them. We compiled the list below picking those which offer high quality and are continually sold off the market. The latest in UV sterilizer technology, the Aqua UV Advantage is best for small ponds and aquariums. If you value space but want an effective unit, then this would should be suitable. It’s lightweight and rather slim, fitting into the tank easily. As far as working fast is concerned, this UV sterilizer tends to clear the entire tank in the span of 3-5 days and it keeps it clean. It has even been reported to clean the aquarium overnight. When talking about technical specifications of this unit, we notice that the flow rate is 642 gph for 30,000 µw/cm2 for 5-200 gallons. These are the numbers for the fresh water sterilizer, and as far as the clarifier is concerned, the flow rate ranges up to 1,500 gallons which is ideal for water gardens. The dimensions of this UV sterilizer are 18″ X 4″ X 2.5″, and the exact weight is only 4 lbs. The design was kept simple yet elegant, and you can only get the unit in black. These things were made to do their job and keep fish healthy, not look flashy and interesting. The manufacturer guarantees top notch quality as long as you follow the provided instructions and they cover you with a year’s warranty. 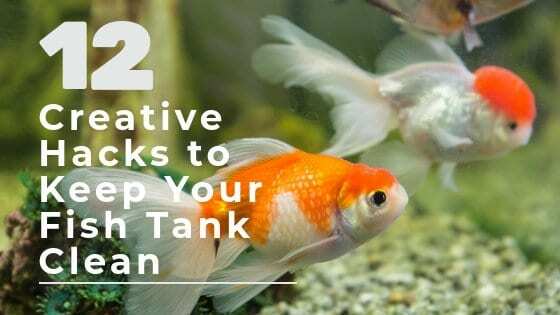 If you’re looking for a simple yet effective way to clean your tank, the Green Killing Machine will suffice. First off, it comes with a detailed and coherent instruction sheet, meaning it would take you up to 5 minutes to set it up. This is possible because there’s no complicated UV plumbing. You also don’t need any other tools but your hands to properly install it. It’s equipped with advanced technology and can clean up any saltwater and freshwater tank. That sort of technology also leaves room for advanced efficiency since the sealed water UV bulb allows water to flow in direct contact with the UV lamp. Another good thing about it is that it has a LED indicator which shines when the UV light needs replacing, so you’ll never have to wonder and worry if it’s time to change it yet. It’s been proven to be extremely effective against moulds, bacteria and yeast. This just might be due to the wavelength the unit operates on- 254nm. If you have children, you’ll be happy to know that this unit operates on a 12W level and is therefore child safe. Next on the list is the marvelous AA aquarium Mini Green Killing Machine. It doesn’t get its name for no reason. This unit has proven to be effective against green water, cloudiness, and other bacteria. It makes the water crystal clear in just a short period of use. Furthermore, the sterilizer is rather small, being able to fit into aquariums of all sizes. That being said, it works best in aquariums up to 80L (20 gallons). Also, you won’t even need to undergo any complicated installations, it just needs to be clipped on and it’s ready to do its job. The water is in direct contact with the UV light, further increasing the cleansing process. The exposure is maximized due to the unit having a zig zag pattern through which the water flows. There’s no complicated installation involved- no hardware or external pipes- so you can even place the unit behind some ornaments if you don’t want it to be noticeable. Who would’ve thought that such a small device (12″ L X 3.3″ W X 3.75″ H) possessed such power? This is a 9watt unit with the flow rate being 210 gallons per hour. This makes it suitable for all and any aquariums, keeping in mind that it gives best results in those up to 75 gallons. No additional tubing or circulation pump is required, all you need to do is take it out of the box and it’s ready to use! The results of using this unit are noticeable after a short period of time, and it easily gets rid of any harmful microorganisms and free floating algae. Aside from aquariums, this UV sterilizer can be used for ponds as well. What’s more, it’s suitable for both freshwater and saltwater fish tanks. The SunSun JUP-01 9W UV Sterilizer includes everything you need, so no additional purchases are necessary. In order to reach optimal performance, you should change the bulb yearly. If you have a bigger fish tank that needs its water cleared or sterilized, then perhaps you should look into the 13w Uv Sterilizer. It’s suitable for tanks up to 150 gallons. As far as power is concerned, the water pump hold 8 watts, while the included UV light holds 13. These are very nice numbers for regular use and a guaranteed clean tank. In fact, it does such a good job that even the decorations have more vivid colors after a while. Adjusting the water flow in accordance to your aquarium is always a hassle, especially since most units come with a preordained one. This one makes your job easier as you can manually set the water flow of your preference. It’s not an issue whether you have a slatwater or freshwater tank because this unit can handle both easily. As far as installation is concerned, it’s rather simple and you can even choose whether you’d like it to be in a vertical or horizontal position. If you’re looking for a hang-on UV sterilizer, the Coralife 15602 should catch your eye. Since we’re talking about this type of a UV sterilizer, you’ll be happy to know that it doesn’t require any complicated installation which involves tools and such. That’s why it has hanging brackets included. All you need to do is clip it on a desired place in your aquarium and it’s ready to go. The unit was designed with a quartz glass sleeve and it also has a turbo twist 12x flow. It’s capable of clearing out tanks of up to 500 gallons, making it ideal for anyone who has a fairly large aquarium. Tanks of this size are harder to cure of harmful microorganisms too, so the unit will be even more useful. What’s more, this UV sterilizer will be great for you if you have a saltwater tank as much as if you have a freshwater one. It clears both types equally efficiently. An indicator light has been added for your convenience, as it lets you know when the sterilizer is working properly. Nothing beats the feeling of looking at your aquarium, the fish content and lively, bursting with color, and knowing you did that. You were able to moderate an entire mini-ecosystem and make it prosper. Of course, none of that could be possible without the help of a proper UV sterilizer. All of those featured on our list are there for a reason and do their job effortlessly, but the Aqua UV Advantage is not number 1 in our list without a reason. It has truly succeeded in mastering the art of keeping the waters parasite free and will continue to serve you for a long, long time. It’s suitable for all those with experience who have a growing ecosystem right there, in their homes.